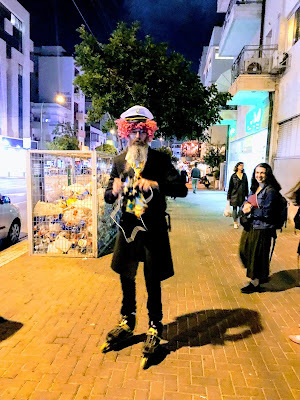 Please see my new article in The Times of Israel called, "Purim in Israel, Chabad Style." We had the privilege to be in Israel for Purim night. We are going down Ben Yehudah Street in Tel Aviv looking for a synagogue for Megillah reading. Out of nowhere comes this Rabbi in Purim costume dashing down the sidewalk on roller skates. He pulls up in front of me and asks me to join them at the Chabad shul (#770 of course). Who can say no when Chabad is not only so cool and inviting, but also always helping to keep our minds focused on doing another mitzvah and towards the ultimate coming of Mashiach.